The Reds started the year 1-8, but have since won four of their last five games. Cincinnati has made just one error in its last 11 games. The Dodgers started the season 8-2, but have since lost six of their last seven games. Los Angeles has 35 home runs in 17 games this season, tied for second most home runs through 17 games of a season all-time, behind only the 2000 St. Louis Cardinals (40) and the 2019 Seattle Mariners (38). From 2015-17, the Dodgers won 17 of the 20 meetings with the Reds, but Cincinnati took six of seven from Los Angeles in 2018, including a four-game sweep of the Dodgers in LA. Jesse Winker started the season going 1-for-24 (.042) with a single and seven strikeouts, but he is now riding a five-game hitting streak with four home runs and eight runs batted in and just three strikeouts. In 11 starts this season, Joc Pederson has reached base 21 times (11 hits, six walks, four HBP), has eight extra-base hits, including six home runs and has scored 13 runs and driven in 10. 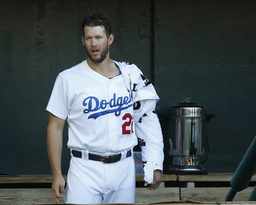 Clayton Kershaw is making his season debut. Kershaw's last game was Game 5 of the 2018 World Series versus Boston. He will face Luis Castillo, who has allowed just five hits and struck out 25. He is the only pitcher in the live-ball era (last 100 seasons) to allow five hits (or fewer) and strike out 25+ men thru his first three starts of a season.